The Tzitzis of each corner must consist of four strings. The four strings have to be entered into the corner hole of the Tallis and folded in half, for a total of eight strings. Used more than 4 strings? 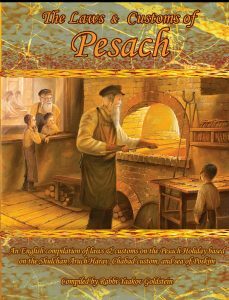 If one ties more than four strings to the corner, even if he adds only one more string, he transgresses the Biblical prohibition of Baal Tosif. In such a case, the fringe which contains the extra string is invalid until the extra strings are removed. Tied two sets of Tzitzis to one corner: See Halacha 7C! May one enter one long string and then cut it? One may form the eight strings through using a single long string. This can be accomplished through taking a single long string, folding it into four, and then entering it into the corner hole. When it is folded in half after being entered into the corner hole the string has eight sides. One then cuts the top of each string, making it into eight valid strings. If one forgot and began braiding the Tzitzis prior to cutting the top of the strings, it is invalid. This applies even if one only made one loop, and on top of it a single [set of a double] knot, and then remembered. [One must undo the Tzitzis and retie it to that hole.] If however one cut the top of the strings immediately after making the loop, prior to making even a single knot on top of the loop, the Tzitzis remains valid [and one may continue with the remainder of the braid]. Certainly if one cut the strings immediately after the first knot, prior to making any loops, the Tzitzis remains valid. Nevertheless, when using a single long string that is folded to four, it is proper to initially cut the string prior to inserting it into the hole, and thus enter four separate strings into the hole. 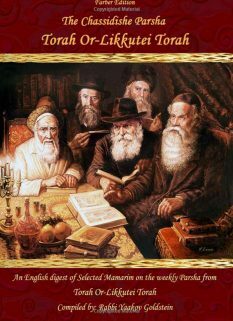 In the event that one used five strings to make the Tzitzis braid, how is that fringe to be validated? 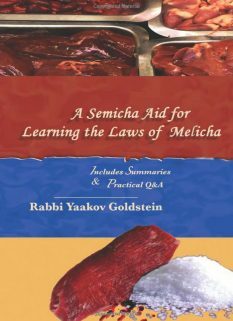 It suffices to cut one string off from the Tzitzis, and it is not required to untie the entire fringe, remove the string, and then retie it from the start. Some however write that one is to undo the entire fringe, remove the extra string, and then retie it. If one added the extra string with intent that it is for mere beauty and not for the Mitzvah, does one transgress Baal Tosif? Some Poskim rule that in such a case one does not transgress Baal Tosif. 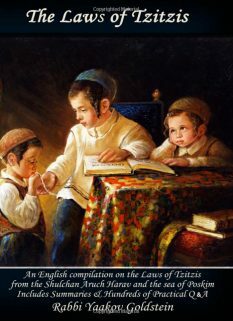 However some rule that the Tzitzis nevertheless remains invalid, as explained next. If a string or thread accidently became tangled within the four strings, is it valid? Some Poskim rule one may not have any extra item mixed into the Tzitzis strings while they are tied and braided, and if the Tzitzis contains such an item it is possibly invalid. This matter however has been omitted from all other codifiers, hence implying that we do not hold like this opinion. According to all, if the string became entangled in the Tzitzis after it was already braided, it does not invalidate the Tzitzis. What is the law if the strings of two corners became tied to each other? 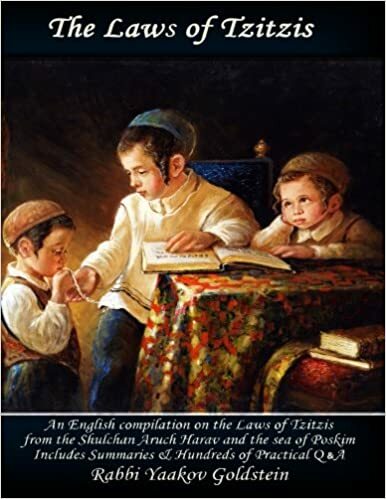 The Tzitzis remains valid so long as one is able to undo the knots. One is to untangle the Tzitzis prior to the blessing, as explained in chapter 2 Halacha 6! The reason: This is learned from the verse “Pesil Techeiles”, which teaches that each of the strings must be folded like a wick. 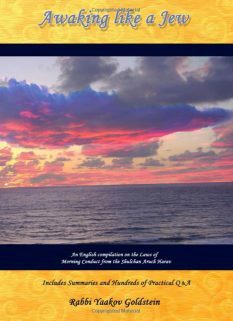 [Admur ibid] Rashi in end of Shlach explains the 8 strings correspond to the 8 days between the exodus from Egypt and the singing by the Yam Suf. The Baal Haturim explains that the 8 strings correspond to the 8 limbs of a person which can sin, which are the ears, eyes, mouth, nose, hands, legs, the Erva, and the heart. Thus, the 8 strings remind a person not to sin. Does one transgress Baal Tosif even if he does not wear the Tallis: lt is implied that one transgresses Baal Tosif even prior to wearing the Tallis in this form, and rather the mere tying is already a transgression. Vetzaruch Iyun! 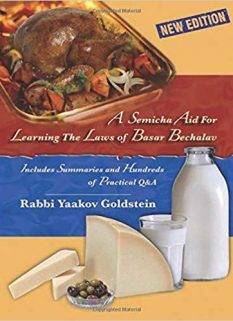 P”M in introduction to Tzitzis; Biur Halacha 11/3 “Venaasu” in name of Peri Megadim; Vetzaruch Iyun from Biur Halacha 34/2 “Bealma” in name of many Achronim who argued on the Bach regarding one who added an extra Bayis to the Shel Rosh without intent for the Mitzvah.